Check out our Forest River Patriot Edition RV review! 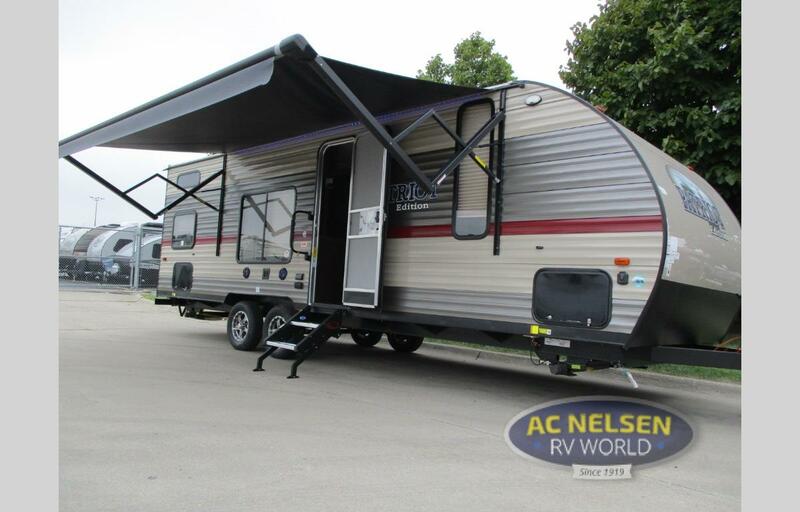 These AC Nelson exclusive toy haulers, travel trailers, and ice houses are perfect for your family’s camping needs. Beautifully designed and expertly engineered, you’ll love your Patriot Edition RV the moment you step foot inside – and for years to come. 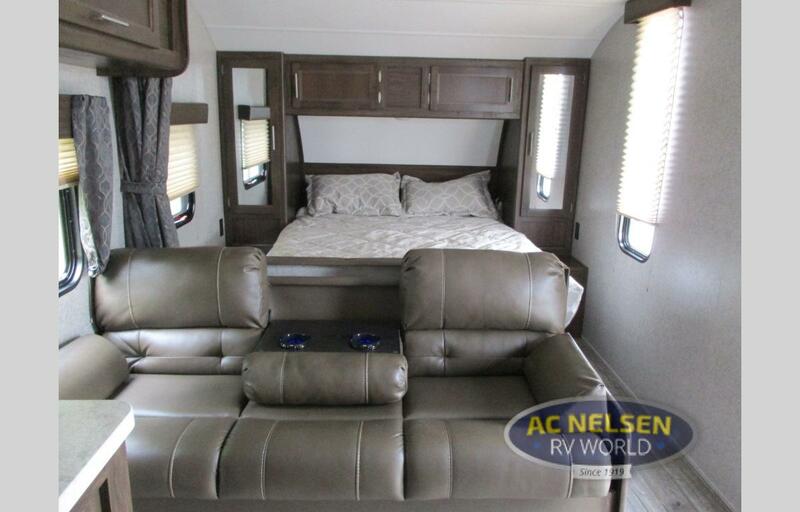 Our Forest River Patriot Edition RVs for sale sleep 3 to 8, depending on model, and are ready to help you escape from the craziness of life at an affordable price. Each of the Patriot Edition models have an aerodynamic radius front to make towing easier than ever, and nitro filled tires to give you a smooth ride even on the bumpiest of roads. A lighted power tongue jack will help you get hitched up well after the sun goes down, so you can make the most of your day full of adventures. And if you enjoy going off grid, take advantage of the solar prep each of the Patriot Editions are equipped for. The bedrooms feature wardrobe closets, overhead reading lights, and bedside night stands. Finally, the bathrooms include acrylic bath sinks, linoleum, glass shower enclosure, and a large, mirrored medicine cabinet. 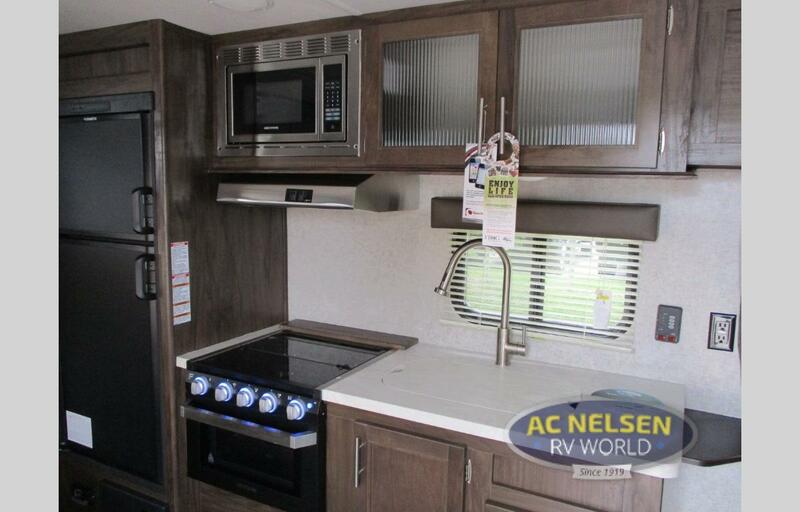 Our Patriot RVs for sale come with countless options that vary by model, so you can have a travel trailer that is custom-loaded with all of your favorites and specific needs. This is a cost-efficient way to get exactly what you pay for and not be missing out down the road on features you really would have liked. 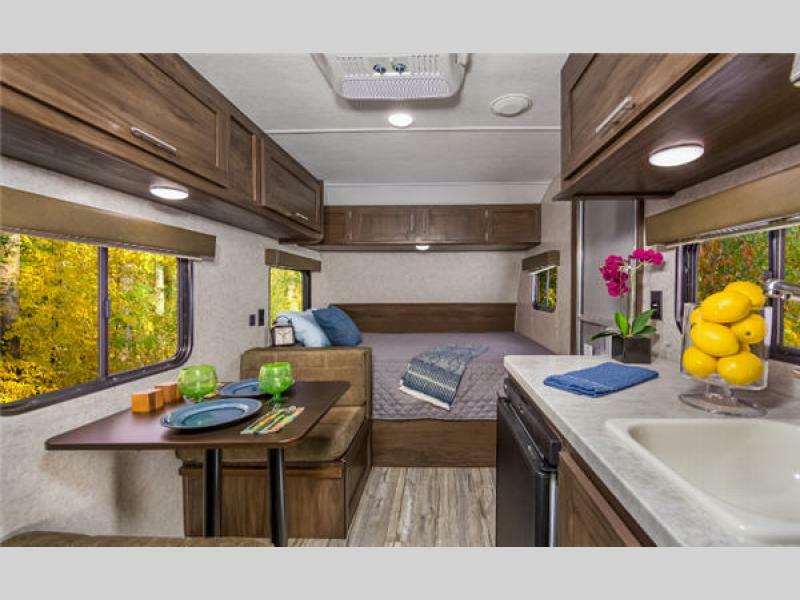 We love how customizable the Patriot RV is for any number of travelers and their individual traveling needs and desires. We invite you to take a look at our different floor plans and compare the optional packages. Contact us today if you have any questions or if we can help you custom-fit a Patriot RV to suit your life perfectly!